Harriett was born at Heage in 1842, to parents Timothy Cartwright and Fanny Henstock. Harriett was the 7th of their 8 children. Heage is a scattered village lying between the larger towns of Ripley, Ambergate and Belper. The village is in two main parts, Heage itself, and Nether Heage (or formerly High Heage and Low Heage). Neither village has a centre, and consists of houses and cottages scattered along the roads and lanes. In the early days of the industrial revolution coal mining and the ironworks at Morley Park and later at Butterley were major employers. At Morley Park are the stubby remains of the first coke-fired blast furnaces in Derbyshire. One dates from 1780, the other 1818. Now a grassy field the area was once a complex of coke ovens and iron casting sheds interconnected by a web of tramlines. 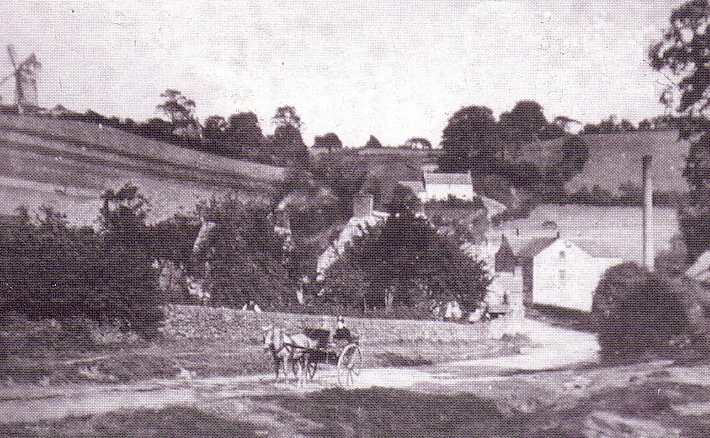 There was a drift mine in the village and coal was mined at nearby Hartshay and taken on horse drawn barges along the Cromford Canal. Village folk also gained employment at the cotton mills and hosiery factories in Belper. 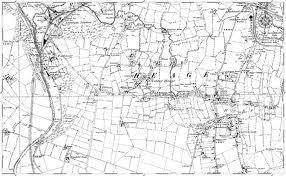 In 1851, at the time of the census, Harriett lived her family, and grandfather (Timothy Cartwright) at Black Horse, Heage. Her grandfather is a retired agricultural labourer, whilst her father is employed as an engineer on a coal site. The household contained 9 people. In the summer of 1860, she married George Thomas Roe in the Belper District of Derbyshire. When Harriet Cartwright married George Thomas Roe they moved in with George’s father (a widower) who was living at Cromford Rd, Ripley. George had learnt his father’s trade as a bricklayer, and possibly joined the family business (along with his brother Edward). Their son Titus was born in late 1860 (Harriett was most likely pregnant at the time of her marriage), followed by Freer (1862), and George (1864). They went on to have Sophia (1865), and Fanny (1869). In 1871 George and Harriett continued to live at Cromford Road, where they raised their 5 children, before having Joseph (1871), Jane (1874), and Richard (1879). Both Harriett’s parents died in 1873, Sadly, their daughter Fanny died in 1874, age 5. By 1881, the family moved to Nottingham Rd, Ripley, Derby’s, where daughter Ellen was born (1881). In addition Harriett's brother William was living with them as a lodger. They stayed in the Ripley area, moving to Greenwich place in 1891, and back to Cromford Rd in 1901. Harriett died 1907 age 65 at Ripley. Born at Heage, age 20 he worked at the local Ironworks. In 1852 he married Elizabeth Simson at Duffield. They had 5 children; Julia, Arthur, Sarah, Elizabeth and Emma. He worked as a coal miner, living in Clay Cross (1861 & 1871), then Froggats Row at Clay Lane in 1881. He went to live with his sister Eliza in 1891. He died age 67. 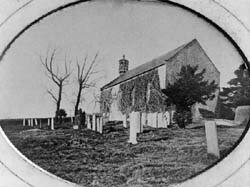 Born at Heage, she married William Lynam in the Holy Trinity Milford Parish Church in 1852, age 17. William moved up from a Blast Engine Worker in 1861 to a Corporation Water Inspector by 1891. They had 14 children; Albert, Annie, Fanny, Esau, William, Harriett, Mary, Timothy, Titus, Selina, Copernicus, Sarah, Eli and Clara. She is buried at Cotmanhay, Derbys. Born at Heage and worked as a labourer. He never married, he died age 54. By age 16 he worked as a coal miner. He married Jane Sanders in 1863 at Duffield and had 8 children; Stephen, Albert, Leonard, Titus, Francis, Ebenezer, Bertha and Louisa. He lived in Belper and died age 74. Timothy Cartwright was born in 1804 at Heage to parents Timothy Cartwright and Sarah Morell. He was baptised in Duffield on 5 Aug 1804. He was the 2nd of the couple’s 8 children. St Alkmund's Parish Church at Duffield stands upon the site of the church mentioned in the Doomsday Book, this building possesses the architectural fingerprints of many ages. Whilst the Village has declined in stature since its medieval prime, its position as one of the most prosperous of Derby’s outlying villages was assured by the coming of the railways in 1840. Initially on the Derby to Leeds route, then the part of the Midland Mainline from London to the North), the railway link assured that Duffield remained an affluent village with excellent transport links. In 1829 Timothy had his first child out of wedlock, with Joseph being baptised on 3 May 1829 at Heage. 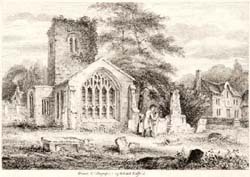 Later that month on 26 May 1829 Timothy Cartwright married Fanny Henstock at Duffield, Derby’s, as Heage Church was not registered to perform marriages until around the 1850s. The couple set up home at Heage, Derby’s. In 1831 their son Elijah was born, followed by Sarah (1833), Eliza (1835), William (1836), and Ellen (1839). At the time of the 1841 census Timothy was employed as a labourer. In 1842 daughter Harriet was born followed by Titus in 1845. By 1851 they had moved to Black Horse, Heage and Timothy had taken up work as an engineer on a coal site. He stayed in the Heage area, until the late 1860s when he moved the family to Ripley. In 1871, age 65 he worked as an engine tender. He died in Feb 1873, age 67, his wife died November the same year. His job as engine tender required that he be among the first men to come to work. The new work rules laid down by Parliament in 1857 required that “The engine tender shall always be at his engine in sufficient time before the hour fixed for the colliers [coalminers] to commence work, to enable him to have his engine ready to start, and to let down the person whose duty it may be to examine the state of the workings previously to the pit commencing work, and shall, before letting any person down, examine carefully the winding gear, and run the rope or chain once up and down the shaft ; and shall not permit more than eight persons to ascend or descend at the same time, nor let any person down the pit, in the absence of a banksman, nor leave the hand-gears whilst men are ascending or descending, except in case of immediate and urgent necessity,” (Rule: 5). 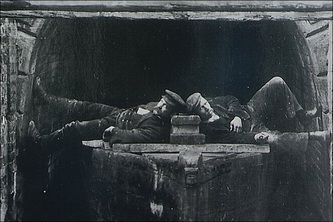 The overall responsibility of the engine tender was to move miners up-and-down the mineshaft safely; and a banksman was employed to help him do so. The banksman used flags connected to ropes and pulleys to signal the engine tender when the elevator was reaching the bottom of the shaft. Reaching the bottom safely was not a given in mines at that time, more than once elevators full of miners plunged to their deaths on the mine floor because either the signal or elevator mechanics didn't work properly. Born at Heage, thought to have married Richard Ball in 1829. She married John Stafford in 1833 at Duffield. They went on to have 3 children; John, Mary and Sarah. Her husband John was a manager at an Iron Works, at the time of the 1861 census they lived at Toad Hole Furnace, Shirland. He possibly married Mary Dove at Duffield in 1832, however in the 1851 census he is living with a Susannah Cartwright (10 years his senior) and in the 1871 census he is living with a Mary Ann Cartwright 12 years younger than him. He married a lady called Sarah and had 2 children, Mary and Ann. He worked as a blacksmith. Timothy Cartwright was born in 1772 at Heage. I don’t know the details of his parents, or his exact date of birth. Heage is situated in the Amber Valley area, the main occupations of the original inhabitants would have been farming. There are still family-owned farms today, rearing sheep and dairy cattle and growing cereal and root crops. The oldest building in the village is probably Heage Hall, situated in Nether Heage, which is now a farm. Parts of the Hall date back to the 15th century. In the early days of the industrial revolution coal mining and the ironworks at Morley Park and later at Butterley were major employers. At Morley Park are the stubby remains of the first coke-fired blast furnaces in Derbyshire. One dates from 1780, the other 1818. Now a grassy field the area was once a complex of coke ovens and iron casting sheds interconnected by a web of tramlines. There was a drift mine in the village (now a small housing estate ) and coal was mined at nearby Hartshay and taken on horse drawn barges along the Cromford Canal. Village folk also gained employment at the cotton mills and hosiery factories in Belper. It would be unlikely that Timothy received any schooling as it wasn’t until 1833 when the Factory Act passed by the Government was introduced to improve conditions for children working in factories. It introduced a compulsory two hours schooling each day for children. This was the first time that children of all backgrounds in the UK had access to education. 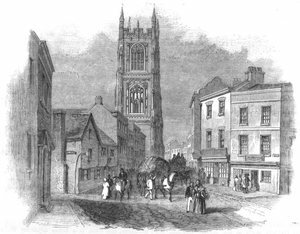 On the 15 Aug 1799 Sarah Morill [signs Morrell] married Timothy Cartwright, at All Saints, Derby. At the time of his marriage Timothy stated he was a farmer. The couple set up home at Black Horse, Heage, where in the summer of 1800 their first child (William) was born, followed by Timothy (1804), Mary (1806), Joyce Morrell (1808), Mathew (1810), Samuel (1812), Elijah (1814) and Titus in 1816. By the 1841 Census Timothy’s occupation was listed as a labourer, from which he supported his wife Sarah. His son’s Samuel and Titus were also living at the family home at Black Horse, Heage. In 1842 three men from Heage were involved in criminal activities which must have caused quite a stir at the time and gave rise to local sayings such as 'They 'ang 'em in bunches in Heage', and 'You can tell a man from Heage by the rope mark on his neck'. The three men Samuel Bonsall, William Bland and John Hulme, a tinker born in Leek, went to rob a house at Stanley Common one September night. The dwelling was owned and lived in by spinsters Martha and Sarah Goddard. Both were beaten by the robbers, Sarah survived but Martha died. In the mid 1840s, Timothy’s wife Sarah died, and by the time of the 1851 census he was living with his son Timothy, and Timothy’s wife and 6 children. His occupation is listed as a retired agricultural labourer. Sadly Timothy died in 1857, age 87. He was buried at Heage on 21 December.